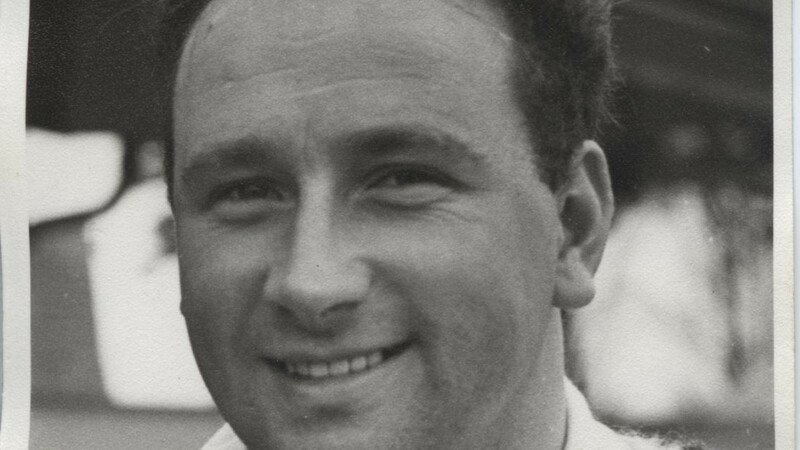 Alwyn Harris, who died recently at the age of 82, was amongst a handful of Glamorgan batsmen to have scored a century during the Welsh county’s victories against touring teams. His feat came at the Arms Parks in June 1962 on the second day of Glamorgan’s game against the Pakistani’s. His innings of 101 saw Glamorgan match the tourist’s first innings total besides helping them recover from the early loss of Gilbert Parkhouse, with Alwyn sharing a second wicket stand of 195 with Alan Jones, a fellow left-handed batsman and a good friend from their days as junior professionals. When Glamorgan drew level with the Pakistani total, captain Ossie Wheatley enterprisingly declared before on the following (and final) day of the contest at Cardiff, the seamer took 4/38 as the tourists were humbled for 158. Alwyn did not bat again as Glamorgan successfully chased the target, with an unbeaten 81 from Bernard Hedges seeing the Welsh county to a seven-wicket victory inside 35 overs. Three weeks before Alwyn had posted his maiden first-class hundred on the opening day of Glamorgan’s match at Swansea against Warwickshire. However, his fine 110 did not lay the foundation of another victory as the contest ended all-square after several weather interruptions, with the game petering out into a draw as Glamorgan employed ten bowlers, including Alwyn whose single over of spin – his only one in Championship cricket – being a maiden. 1962 proved to be Alwyn’s only summer of regular 1st XI cricket, but it was one which saw him pass the coveted thousand-run mark with an aggregate of 1,048 runs. Born in Aberdulais and educated at Cadoxton Comprehensive School in Neath, Alwyn had first played for the Glamorgan Colts whilst still at school having attracted the attention of the county’s coaching staff with a series of promising performances in club cricket for Ynysygerwn. After completing his National Service with the Royal Engineers., Alwyn became a full-time member of the Club’s playing staff in 1960 and after some promising performances for the 2nd XI, he was called up to make his first-class debut in June 1960 against Kent at Blackheath. In fact, Alwyn's county career began and ended in the Garden of England with his final appearance coming at Maidstone in 1964. In between, there were a further 47 first-class appearances, a career tally of 1,698 runs plus one other game in the 1st XI with Alwyn being a member of the Glamorgan side who won their inaugural game in the 1963 Gillette Cup, defeating Somerset at the Arms Park thanks to an unbeaten century by Bernard Hedges after Alwyn – who opened the batting with Alan Jones – had been the first Glamorgan batsman to face a ball in a List A encounter. Alwyn also played club cricket for Briton Ferry Steel, Metal Box, Hill’s Plymouth, Gorseinon, Ammanford and Llanelli, whilst he coached for a season at Christ College Brecon. After leaving county cricket, Alwyn became an automotive engineer, and worked for a gearbox company in Resolven. Alwyn’s funeral will take place on Wednesday, 28th March at Margam Crematorium at 2pm. Glamorgan Cricket extends its condolences to Alwyn's family and wide circle of friends throughout club cricket in South Wales.